London, 1940. Emmeline Lake is Doing Her Bit for the war effort as a volunteer telephone operator with the Auxiliary Fire Services. When a job is advertised at the London Evening Chronicle, Emmy's sees her dream of being a Lady War Correspondent coming true. 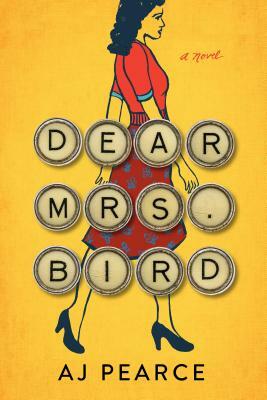 But she winds up as typist for the fierce and renowned advice columnist, Henrietta Bird. Disappointed, she gamely bucks up and buckles down. Prepare to fall head over heels for Emmy and her best friend Bunty in Pearce's irresistible debut.